How to Ensure Your Bridal Mehndi is Dark and Lasting? 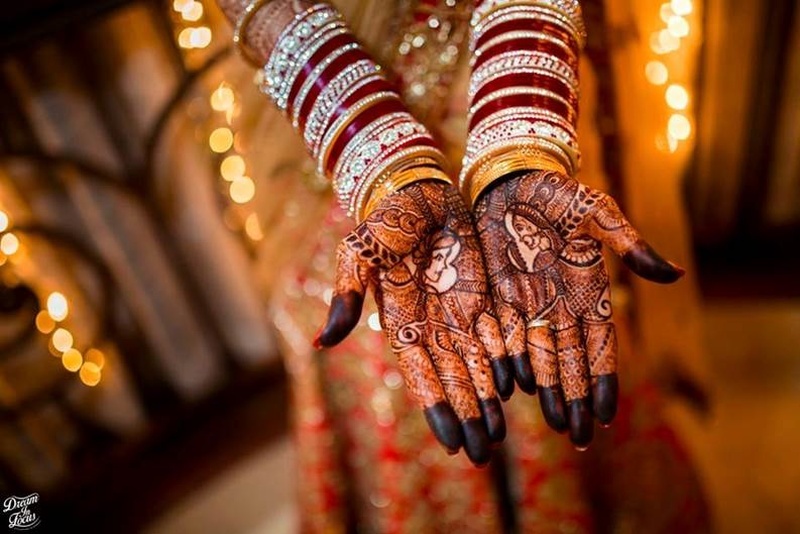 Every Indian wedding is accustomed to the bride getting her hands decorated in henna swirls. And of course, the ideal shade to achieve is a dark reddish brown. Darker the better because apparently, the darkness of your mehndi is co-related to the strength of your husband’s love! But superstitions aside, don’t you think a rich deep-brown colour is just better than a fading orange. So check out these tips to help you ensure your bridal mehndi is the right hue that you ideally want! This is done so that the mehndi has time to set in and you also have time to take care of it the right way and enhance the colour. The wax or razor will peel off the top layer of the mehndi, resulting in a faded shade. So avoid any treatments like this. Do get waxed prior to the mehndi day as hair would hinder the application! Wash before applying mehndi to remove dirt or oil from hands and feet. Do not use lotions or moisturizers as this will create a barrier and restrict the henna from setting in. You could apply eucalyptus oil after washing hands or even add it to the henna paste. The sunlight will dry the mehndi quick and not allow it to set in so avoid sitting under direct sunlight. However, as good lighting is needed, make sure that you are under a shade. Once the mehndi is dry, apply this to keep it from cracking. Mix some lemon juice with sugar, warm it up and apply it lightly on the Mehndi. Once the mixture is dry, apply mustard oil on it so the stickiness goes away. Heat cloves in a pan and place your hands above it so the steam reaches it. The smoke is said to enrich the mehndi colour. Wrap your hands in a protective layer so the design is not ruined. The warmth will also help to darken the colour. While taking off the henna, scrape it off gently. Do not wash with soap and water. It is advisable to scrape it off after 8-12 hours of application. Once you have scraped the mehndi off, apply Vicks VapoRub or Vaseline to add heat / warmth to your hands to get a richer shade.